Abby here… I’ve admitted before that I am, in fact, not very crafty with my kids. so I thought I could pull it off. So, the first thing I wanted to attempt was these footprint reindeer originally found here. Seems easy enough. Any one could pull of this simple craft, right? 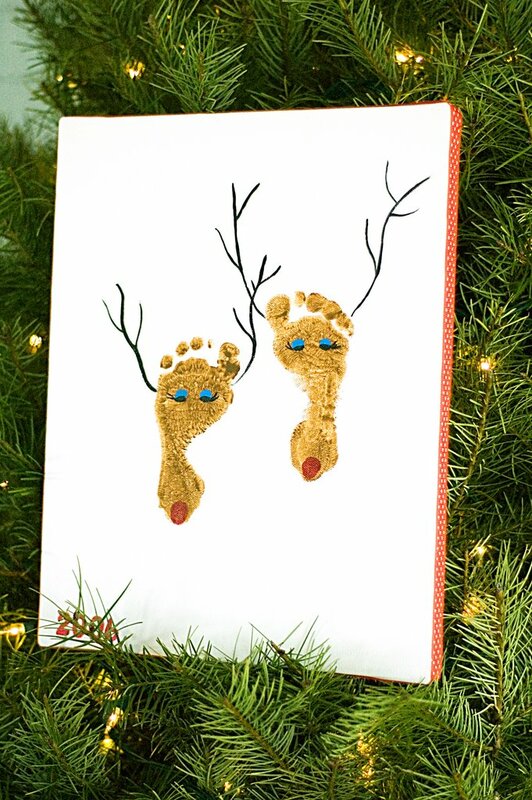 Apparently I was mistaken to think both my kids feet could look cute on a 9 X 12 canvas. Turns out I would need one triple the size to pull of something like what is pictured above. I went through 3 canvas’s on Elijah’s feet before I had it right (thankfully I bought a 6 pack for $6). After we conquered a decent footprint for him, I moved on to my 15 month old thinking that would be the easy part. Again. Wrong. Here’s were we ended up. Yea. So, while I will probably keep those little messed up footprints, because well, I love those sets of feet… I decided to nix that craft. Next up was this inspired by this pin. I’m not crazy about everything in the picture above, but I wanted to make a slightly less cheesy version of this to give to my parents. 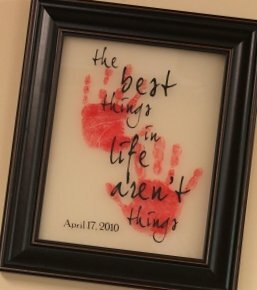 They love sentimental things, and I thought it would be fun with the kids handprints. I figured hands would be easier than feet, so this would be a no-brainer. This is about as far as we got. So sorry Mom, you won’t be unwrapping this Christmas morning. 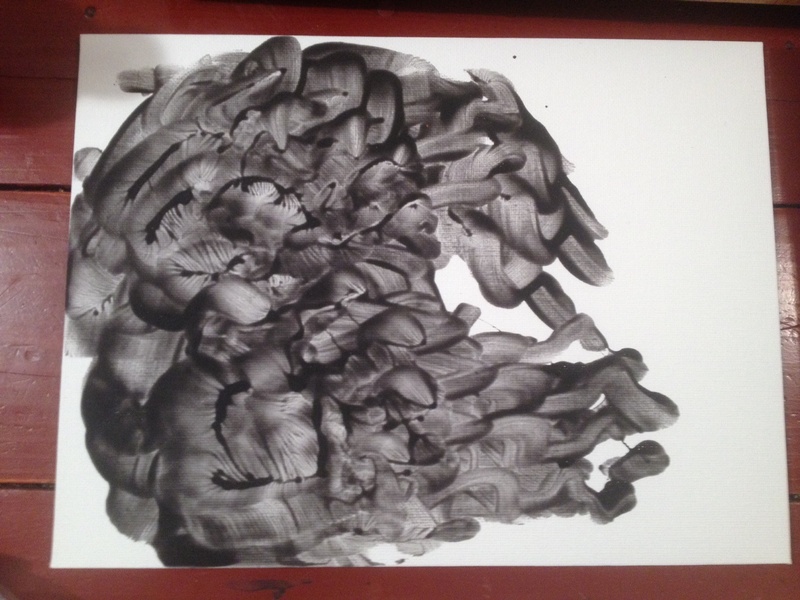 Abby, I will take anything from my sweet grandsons and proudly hang on my walls…love to all the Glovers..